The title refers to a guide who is familiar with a shape shifting, mystical, and highly volatile area known as The Zone, which has been condemned and sealed off by the government. The stalker now leads a dangerous expedition with a scientist and a writer to delve deep into The Zone's magical room, where it is said that wishes can be granted, but the journey towards it will not only test their physical endurance, but also their spiritual sides as well. "Stalker" is a plodding and protracted philosophical film from legendary Russian director Andrei Tarkovsky. While the camera work and direction here are excellent, the movie is overlong, bombastic, and inert. 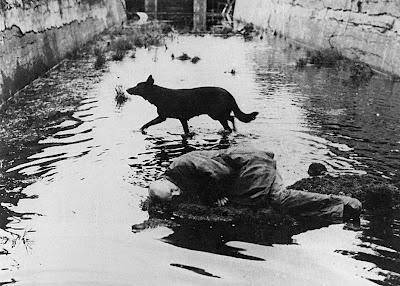 I hate using words like tedious, boring, and the like, especially with a filmmaker as well received as Tarkovsky but while the film is an endurance test for the characters' wills, it was an equally taxing trial of my patience.